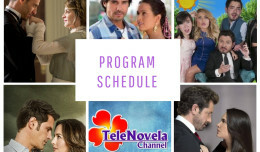 Passion: Episode 32 | TeleNovela Channel - Bringing you closer to lifes drama. Police interrogates Camila as Ursula reports her involvement in the murder of Alvaro. Meanwhile, Lisabeta goes ballistic when Ricardo’s friends bring Pablo into the house. Lisabeta gets furious as she finds out that Camila and Ricardo are now engaged.